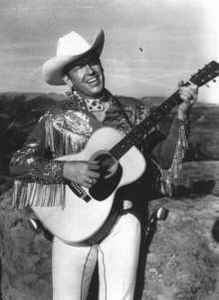 Rex Allen (born on December 31, 1920 in Wilcox, Arizona, USA) was an American actor, singer, and songwriter who is particularly known as the narrator in many Walt Disney nature and Western productions, he narrated more than 80 Disney films. Rex Allen was the father of country singer Rex Allen Jr.. He died on December 17, 1999 in Tucson, Arizona, USA, he was run over by a car. Allen, Rex Allan, Rex Allan Senior, Rex Allen mit Orchesterbegleitung, Rex Allen Senior, Rex Allen Snr, Rex Allen Sr., Rex Allen With Orchestra, Rex Allen, Sr.